Digital advertising is the backbone of the web’s economic model. It’s what makes the wheels turn and the electrons fly. So when Apple released their iOS 9 recently in the wake of the launch of Android’s AdBlock browser earlier this year, advertisers started to sweat. When an easy-to-access new tool comes along that can instantly disable massive amounts of web advertising, it’s not hard to predict that it’ll be an instant hit. Ad blockers are nothing new, but now they’re going mainstream. Suddenly, it couldn’t be easier for consumers to put the blocking software on their mobile devices, speeding up download time and saving on those mobile data fees. The new ad blockers are ultra-effective. They take out almost all display and search ads, annoying video pre-rolls and can even spot certain types of sponsored content, which is totally upsetting the… Apple cart. What they do not (yet) attack is in-app social ads on Facebook, Instagram and other platforms. The impact on publishers will be significant, predicts Ad Age. According to comScore, 62% of all U.S. time spent with media takes place on mobile devices. Ad blockers not only put a huge chunk of display advertising revenue at risk, but threaten the media’s high hopes for use of sponsored content, which can now be rendered all but invisible. This new dynamic will certainly prompt more publishers to partner with platforms like Facebook, SnapChat and Instagram to publish directly and serve their ads natively. The Washington Post is way down the road with that model already. So what’s the response to ad blocking? 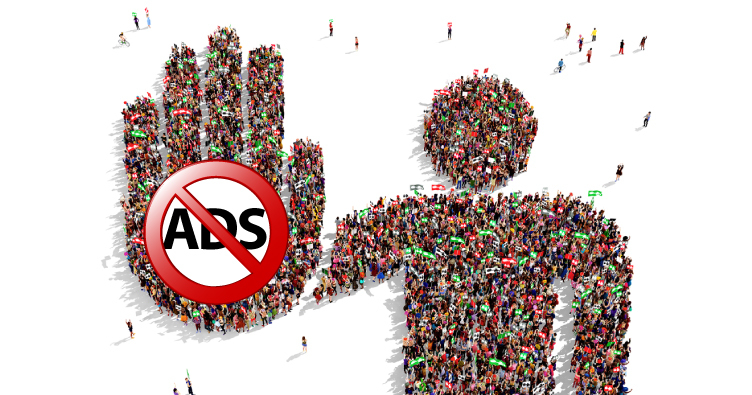 Developers are hard at work to produce ad blocker blockers, of course, but one immediate effect is the explosion of interest in earned media, much to the delight of PR practitioners. We’re hard at work explaining this new dynamic to our clients and prospects, and ad blockers can’t catch the fast pitch of a good story with valid news value. Marketers are already super sensitive to the almighty algorithms that stand between them and their audiences. More than ever, it’s critical to create a really good story that’s linear, logical and social. That’s the secret sauce, even if it’s got a bit of a bitter undertone.